Kitchen or ‘Rasoi’ as commonly referred to India is not the only place of cooking but also treated as a sacred place in our homes. It’s a heart of Home. Kitchens in India are the best-known place for ‘Maa ke haath ka khaana’ are not only restricted to cooking and serving meals but also symbolizes health, hygiene, nutrition, harmony, wealth, prosperity and not to miss different tempting flavors. Traditionally, people in both Urban and Rural areas were very particular about the small details of materials used for designing the Kitchens to the colors used inside, to the materials of utensils used for cooking, maintaining the proper hygiene, taking care of the health of each and every individual of the house. Initially, people use more of natural man-made products like wood, clay pot, grindstone, etc., which not only brings natural flavor to the food but also had scientific health benefits behind using them. Not only the materials and products but also sitting on the floor cross-legged and relishing the food by using the fingers and using no cutlery also hold very strong scientific health benefits behind. When Britishers invaded India, they brought a lot of changes to our architecture, lifestyles, eating habits and etc. Urban peoples took their lifestyles promptly as compared to Rural ones. Aluminum and Plastics. Our forefathers knew the health benefits of eating and cooking the meals in heavy and good metals which got destroyed by the Britishers which are still following by the Indians. Each utensil whether big or small has its importance in cooking a particular dish. The real taste comes from the work made of Iron or Brass, use of Grindstones in making some tangy or spicy sauces or using of the mortal pestle, clay ovens and ancient ways of cooking. The clitter – clatter or rattling sounds of the ladle in the work is common acoustics in our Indian Kitchens, but nowadays our Kitchen has much more Non-Stick Cookwares or Steel Cookwares. Our Mothers and Grandmothers were used to cook chapattis on flames but now it has replaced by Roti Makers, Induction Cookers and Microwave. We are using more of Bone China Crockeries or Glass/Crystal Wares rather than any of the heavy metal. 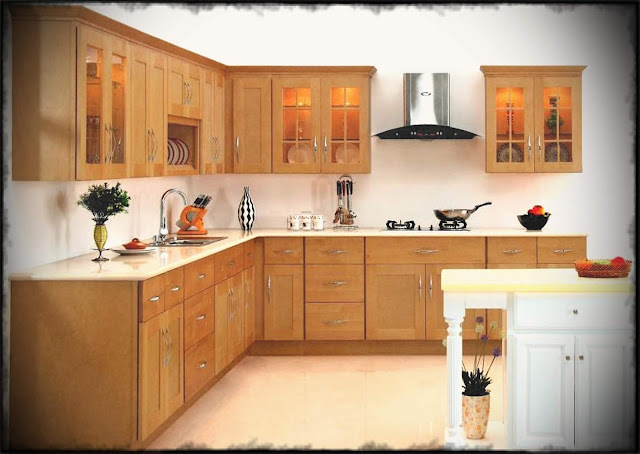 In healthy times we have our Organic Kitchens in soft natural color tints like pastel yellows, orange, beige and white which as per Vastu norms creates the healthy atmosphere in the Kitchen for every individual of the house. Now even Doctors and Medical Journals are recommending being Organic and using more of traditional cookware and utensils as it fortifies the food with minerals present in heavy metals which are so essential for our bodies. This feels like we are going back to our roots which were considered by our values. We should consider following Vastu Science while designing the Kitchen for the betterment of our lives especially the choice of colors as it plays a very pivotal role in our lives. 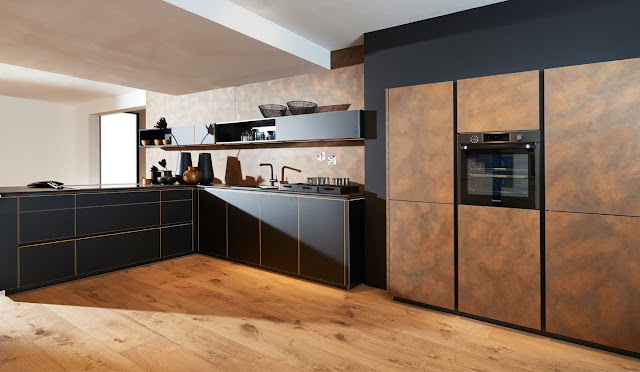 Nolte Küchen - Germany’s second-biggest kitchen brand providing not only luxury and comfort in the Kitchens but also fulfilling the need of Vastu Science in terms of every raw material they are using, color combinations, designs which is very much suitable. Vastu Science application is not restricted only to balance 5 elements but it also balances the comforts and health. continuity. Going easy on natural resources, keeping the air and water clean and promoting sustainability. These are the three pillars for responsible, ecological actions that have been deeply rooted with Nolte Küchen for years. During production, for example, state-of-the-art filter systems facilitate manufacturing without harmful substances. Furthermore, all packaging is made from environmentally friendly materials that can be recycled. And as there are things that are more important than a kitchen, we also and exclusively support sustainable forestry: Our wood is procured under fair conditions. Fair towards the people involved, fair towards nature. This way forests retain their characteristics that deserve protection. Plantations for which areas of natural forest have been sacrificed (after 1994) are off-limits. So is genetically modified farming or illegal use of forests. This commitment has been officially acknowledged: Nolte Küchen is PEFC-certified and was also one of the first kitchen manufacturers to be awarded FSC®-certification. The well-organized cabinets, tall units, drawers, and sections help to maintain the Kitchen clutter free which is again Vastu friendly. Our designing team provides with the best options suitable for you and your family. The science behind every ancient way of living gets balance with the Vastu Norms. Therefore, we should keep certain things in mind while designing the Kitchen as it is the soul of the house. The health, chit chats, children laughter, and every harmony comes from the kitchen only. As said by Shaeyna Bansal. 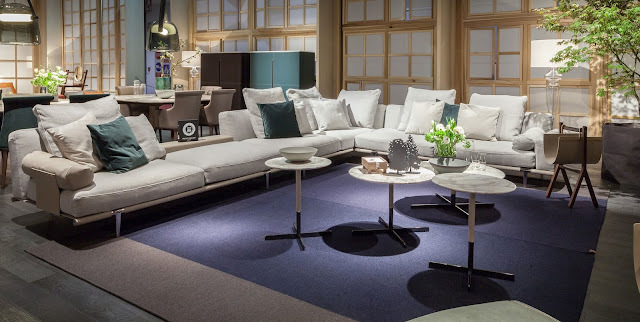 The world-renowned designer Ludovica + Roberto Palombia who creates this natural evolution of the sofa in 2017 got some amazing philosophy behind which implicit in the name itself. A classic song by Beatles with the same name explains the sense of freedom from all types of formalism and convention. They seize and re-create the time honoured Italian concepts of the Rome triclinium. The design is an invitation to relax, to lie down, ate, talk and lazes around. The comfort provided by the Sofa is so welcoming that it pushes all your worries behind and helps you to rediscover your “me time” and rhythms. So sit with a glass of Wine with a book playing some acoustic and say Cheers to life while easing yourself on “Let it be”. Brighten up your Bathrooms with bright summer tones - make bathrooms fun! The Summers have well and truly arrived now and with it time for spending time over a long soak in the tub or seriously lazy showers. To brighten up the mood in your bathrooms and make it a fun time for the kids, our suggestion on this hot, sultry day would be to get back home and just relax! 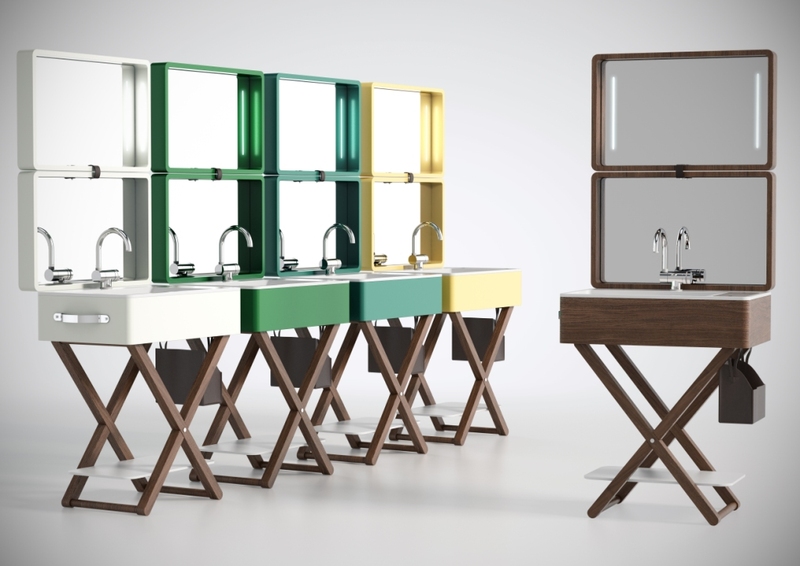 Olympia Ceramica’s collection of colorful basins and bright sanitary-ware would truly set the mood going. 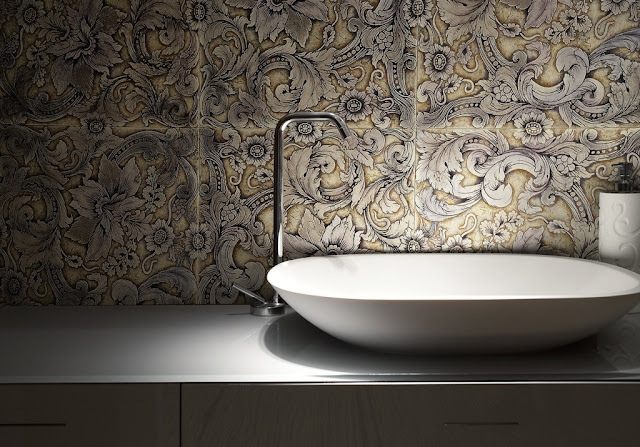 Printed washbasins or those in any color you want to pick from the palette, designs that match the tiles or pure seduction in Black, it’s all possible. These are must-haves this season. Take a look. A range of surfaces that fall in all categories, classy, sophisticated and brilliant! Akros’s range of surfaces and designs, which by the way can be customized to any style that takes your fancy, are made in stone, handcrafted and painstakingly put together with superior quality materials to present an environment that can never go old – these are the real thing when you seek classic styles that can be contemporary or classical, as you prefer. 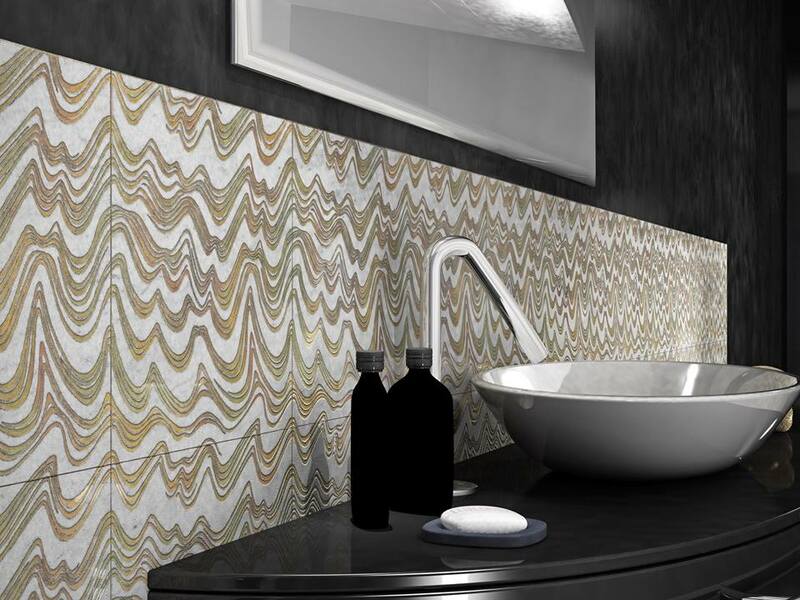 These beautiful surfaces can be applied in bathrooms easily without any fear. Be it floors or wall, the metallic or subtle shades, any can be chosen from. The warmth of these surfaces reflects on the space and the metallic highlights combining with the play of light, promising a space that is cozy and just perfect for rejuvenating yourself after a long, hectic day. System of multi-purpose tables designed to interpret a new concept in office design, for environments built with clean-lined simplicity, where the widespread use of technology is never intrusive. Innovative linear configurations ensure excellent performance, flexibility of use and optimum comfort. 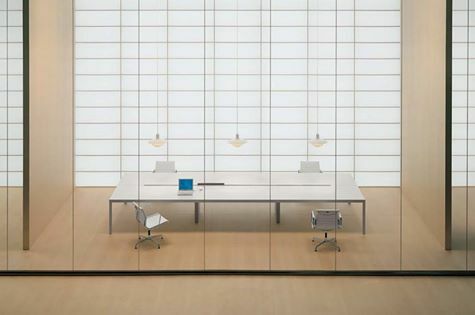 Single and grouped workstations equipped to satisfy specific functional needs: task areas, minimalist executive environments, conference rooms, libraries and much more. The stunning concept of the Naòs System by UniFor consists of the conference table, with a continuous, uninterrupted surface. Tables with monolithic aluminum structure, with polished aluminum or epoxy powder finish; tabletop in back-painted extra-clear glass or in composite material, equipped with access hatches to the cable trays below enhances the clear and sleek design of these tables. 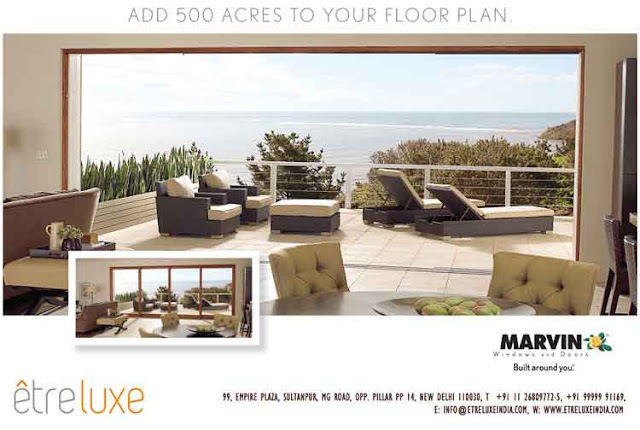 Available at ETRELUXE, INDIA under the Offices division, take a look and let us know if you may want more info! The stunning concept of the Naòs System consist of the conference table, with a continuous, uninterrupted surface. Tables with monolithic aluminum structure, with polished aluminum or epoxy powder finish; tabletop in back-painted extra-clear glass or in composite material, equipped with access hatches to the cable trays below enhances the clear and sleek design of these tables. Because spaces are to be experienced! These beautiful surfaces are etched with careful precision and craftsmanship. Options of customization add numerous possibilities for designing creative spaces. Not 'just' wardrobes... no way. 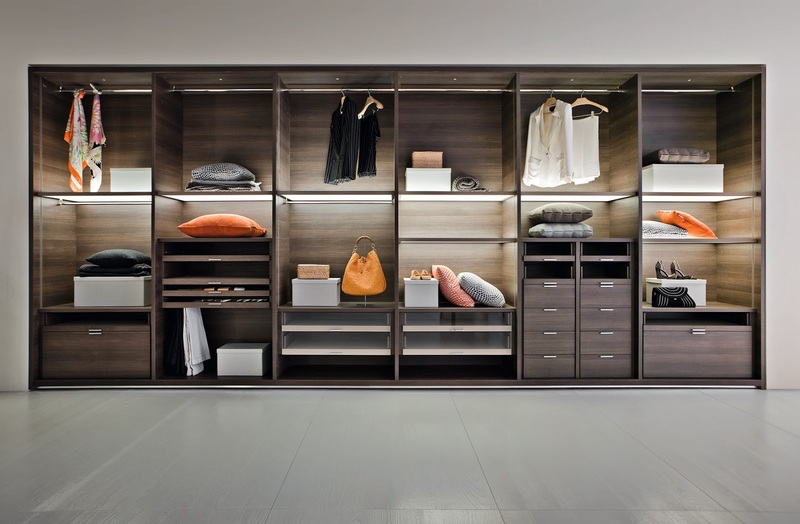 Gliss Master, in the sophisticated version without doors, becomes an accessorized walk-in closet that can be set up in linear and corner solutions. A particularly wide selection of internal accessories are available to design the compartments with personalized solutions to meet specific needs: hanging drawer units, extractable trays, shoe shelves, storage compartments and accessorized drawers with dividers are some of the solutions suggested. Bunch of cool bathroom decorating inspirations to design a Man's bathroom. ETRELUXE. Simple theme. Powered by Blogger.